This weekend was my friend Dave and Sarah’s annual crawfish boil. For those of you who have never been to a crawfish boil before, this is what it looks like. Dave and Sarah had those suckers shipped in from Louisiana. This thing is no joke. We had 4 pots that looked just like this. It’s seriously a full-time job to get everything cooked. Anyway, they always do such a great job with the party, so I wanted to bring them something to contribute. I went to my cupboard to see what I could come up with, and I decided on cornbread. Not only did I own all the ingredients, but I thought it would be a good complement to the crawfish. And, if we’re being totally honest, a little extra bread product is good to have at these things. You don’t really get a full meal from the boil, so the beer (or in my case, mint juleps) tends to catch up with you. I adapted a recipe from one of my many Junior League cookbooks. It was a hit, especially with the kids who couldn’t handle the spice in the boil. I even had disposable tin pans to bake it in, so I didn’t have to worry about clean up! Double bonus. Preheat the oven to 400 degrees. 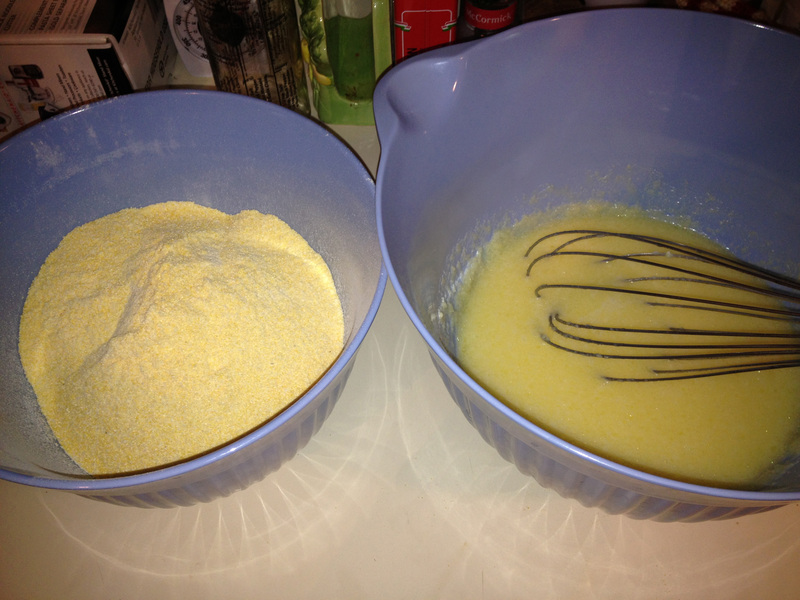 Sift dry ingredients together. Beat the eggs lightly, add the butter and blend. Stir in the milk. Add the dry ingredients and mix until smooth. You can do this with a whisk, no fancy beater needed! Dump the mix into a buttered baking dish (I cheated and used Bakers Joy to grease the pan cause I’m lazy). Bake for 30 minutes (but start to watch it after 25, so it doesn’t get dry). Serve hot or cold. Crawfish optional. Hi! This is Liz Koehler – we met at the Smith event last Friday, wish I could have stayed longer! 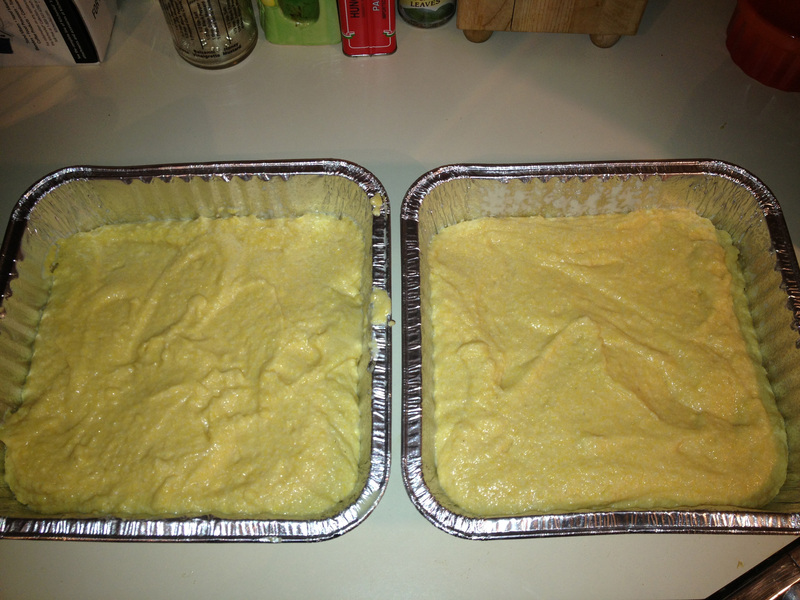 Great blog, and great recipe – I can never get cornbread quite right so I’ll give this a try next time. Thanks again! Great to meet you Liz and thanks for the comment! Let me know if you try the recipe.